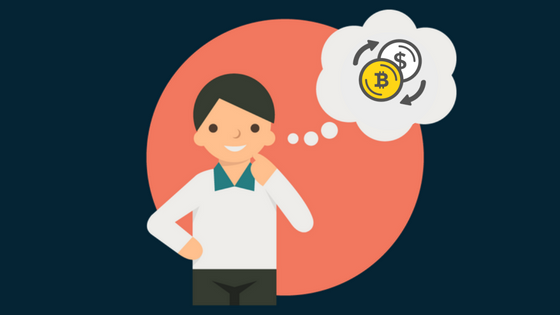 Why You Should Buy Bitcoins From P2P Marketplaces? Back when bitcoin was first invented, the peer-to-peer aspect of it was the immediate intention of Satoshi Nakamoto. This is complimented by its decentralized nature. This means that we were always intended to trade with one another using a currency that is easily accessible by the public. Although the peer-to-peer aspect of it was in the intention of Mr. Nakamoto, not a lot of people understood what it was and how it worked…. Or even what it meant. It because the duty of those familiar to spread the good news of the coin. Since its creation, we have now seen many bitcoin exchanges pop up. Bigger companies started taking over with their own system to help people buy/sell bitcoin. These bigger companies established and started the “traditional” way of trading. In this article, I’m going to be explaining the difference between a traditional exchange and a peer-to-peer marketplace. I’ll also explain why it’s better to buy bitcoins on a peer-to-peer marketplace. 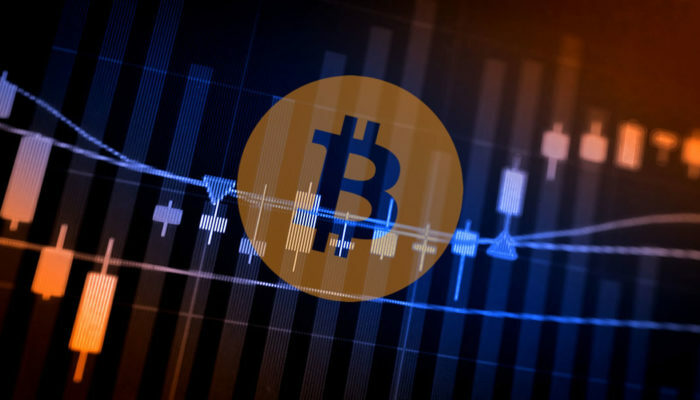 Although traditional bitcoin exchanges have been around longer, there seems to be a rise in popularity when it comes to the use of peer-to-peer marketplaces. In essence, peer-to-peer marketplaces and traditional bitcoin exchanges serve the same purpose: they give the ordinary man a means of buying/selling bitcoin. Although they serve the same purpose, the trading experience is vastly different from one another. As said earlier, traditional bitcoin exchanges have been around longer. This means that these types of exchanges are more well known and more used in the community. And for a long time, trades from these exchanges were the norm of bitcoin trading. On traditional bitcoin exchanges, buyers and sellers are matched via order books. Once a buyer and seller are matched, a third party would then join the trade and help the buyer and seller complete the trade. This third party acts as some sort of a middleman to make trading as smooth as possible. This means that buyers and sellers rarely interact with one another and don’t know exactly who they’re trading with. This can both be a pro and a con as the bad side to it is some things may get lost in translation with the middleman. On the other hand, no direct interactions between the buyer and the seller could mean more privacy for some people. As said earlier, these are the lesser used type of platform but it has also been seeing a rise in popularity. The rise in popularity can be seen in growing peer-to-peer platforms such as Paxful or Localbitcoins. On these platforms, buyers are matched with sellers and they have the ultimate freedom how they would want to finish their trade. Unlike traditional bitcoin exchanges, peer-to-peer marketplaces have no middleman, the trade partner need to work together to reach an agreement and finish their trade. Why using a peer-to-peer marketplace is better? Since traditional bitcoin exchanges have a middleman that helps complete the trade for you, higher fees will be implemented. This technically means that you’ll be receiving less bitcoin on every trade that you complete. Though peer-to-peer marketplaces also have added fees, usually for escrow services, but they’re not as high as a traditional bitcoin exchange. Escrow services are a security measure that secure the safety of the trade partners’ funds. The platform also runs little to no interference in the trading process of a peer-to-peer marketplace. Buyers and sellers or the trade partners are sole responsible on how would they want their trade to go down. There have been some examples in the past in which regulatory restrictions have intervened with traditional exchanges. One example that comes to mind is when all withdrawals were frozen for a month in China. This is because The People’s Bank of China intervened and it affected two of the largest exchanges in the country. As a user, a halt in your possible income is NOT something you’d want, especially if everything is on hold for a whole month. On peer-to-peer marketplaces, trades are done interpersonally which means users are not usually affected by these restrictions. As said earlier, escrow services are a security measure that can help prevent your account from getting scammed. Security measures on peer-to-peer platforms usually come in the form of escrow. Escrow protects both buyers and sellers. During a trade, a third party would hold all the coins promised in the trade until all requirements are submitted and verified. Once the requirements have been submitted by the buyer and verified by the seller, that’s the only time the coins will be released. Both parties come out happy. Peer-to-peer marketplaces add a personalized touch to the trading experience. Some platforms will have a live chat feature where you can either talk to moderators about any questions you may have or to your trade partner, some will have a reputation system where users can leave comments and recommendations for their trade partners after each trade. Having a live chat feature with your trade partner allows for a lot of things. One, you can clarify requirements needed if you’re a buyer. If you have any questions about what the seller may need, the live chat feature can help immensely. This is especially useful for people who are just starting out in the crypto trading world. Two, it can allow the vendor to verify requirements easier. As a vendor, you want to make sure that all the buyer’s payments are legit. A live chat feature with your trade partner can help that cause. Because of the nature of trading, peer-to-peer marketplaces have a wide array of payment methods. This allows more efficient trades as there are more ways to buy or sell bitcoin. Having a wide array of payment methods allows for better trades as bitcoin becomes more accessible to an average person. This is extremely useful for countries that have a high underbanked percentage in their population. One popular payment method of peer-to-peer marketplaces is gift cards. Gift cards are popular because they are extremely easy to find, extremely easy to trade and they are also easy to spend. Selling your extra bitcoin for gift cards are also a viable option as gift cards on peer-to-peer marketplaces usually come at a discounted price. Users can also suggest new payment methods if they can’t find one. This allows peer-to-peer platforms to grow even more as more payment options will be available. More and more payment methods will come into fruition if buyers and sellers can agree to use them in trades. Soon enough, there will less to no payment methods missing from every peer-to-peer marketplace. As a seller, there are a ton of preferences you can set to make the most out of your trading experience. The first major thing you can do is to set your own profit percentage. This controls how much bitcoin buyers get on the dollar. In essence, you control how much money you make off of each trade. As a seller, you can also filter who you trade with. Although it’s possible to run into scammers on peer-to-peer marketplaces, there are still ways to filter them out. Each platform has their own way of spotting red flags but ultimately, it’s up to YOU who you trade with. Just make sure to do extra research on your platform so you can figure out these red flags at once. As a buyer, you have the chance to find great deals from sellers. Look for offers that give more bitcoin on the dollar using any payment method you prefer. If you look hard enough, you’ll be able to find great deals. As both buyer and seller, you can form and cultivate business relationships that can benefit you for a lifetime. If you have a good trading experience with someone, take note of that person’s username and look for him/her again once you’re looking to buy/sell again. It also works the other way. If you have a bad trading experience with someone, take note of that person’s username and remember to never do business with that person again. Let’s go back to that live chat feature again for a second. It may not seem like it’s a big deal, but a live chat feature on a platform can help make trading efficient and easy. With a live trade chat, you can ask clarifications if you have an questions about the seller’s requirements, As a seller, you can ask the buyer for clarifications regarding their payment. Overall, having the option to actually talk to your trade partner can not only save you lots of time, but also a significant amount of money. A lot of peer-to-peer platforms’ pros come from making a better individual profit, but that’s not all it can do. There have been campaigns before that show that there is a lot of good that can be done with the power of peer-to-peer finance. An example of this is the #BuiltWithBitcoin campaign by ZamZam Water and Paxful. This campaign shows us that peer-to-peer finance isn’t playing around. Looking back at the advantages and disadvantages of bitcoin, the peer-to-peer aspect of it all seems to fit more on the advantage side rather than the disadvantage side. Peer-to-peer finance isn’t just here for the money. It’s a good thing and it’s here to stay, and we should be happy about that. Peer-to-peer finance gives us even more control over our own money by allowing us to choose the way WE want to spend it. I wish you nothing but the best on your trading adventure and I hope that you are now aware of all the good (both individual and common good) that peer-to-peer finance can bring to this world.